[prMac.com] Stockholm, Sweden - Beep, beep! Today the good-game-experience studio, Gro Play today introduces Beep, beep, Alfie Atkins 1.0, their new kids play app for iPhone, iPad and iPod touch devices. 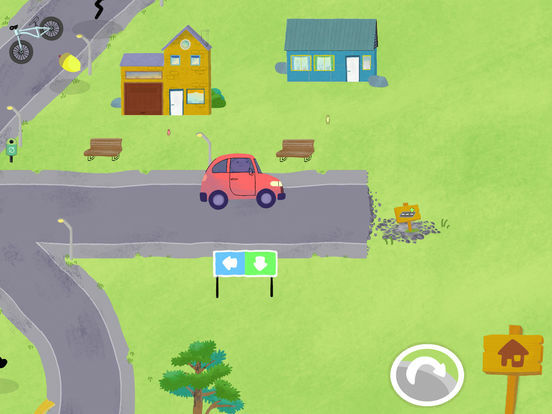 Developed for ages 3-9 years, Beep, beep, Alfie Atkins is a city builder game in which children develop a clean world and recycle different materials to build roads, houses, stores, schools, parks and much more. As the community grows, the players and Alfie will help the citiziens with fun things/activities in the city. Children will be able to recharge electric cars, shop in the store, go to the doctor's, pick fruit, rake leaves, and stop fires with fire hose. In return the players will receive lots of love from the citizens and generous rewards to continue the important work. This is a game featuring many hours of fun for both young and old players. 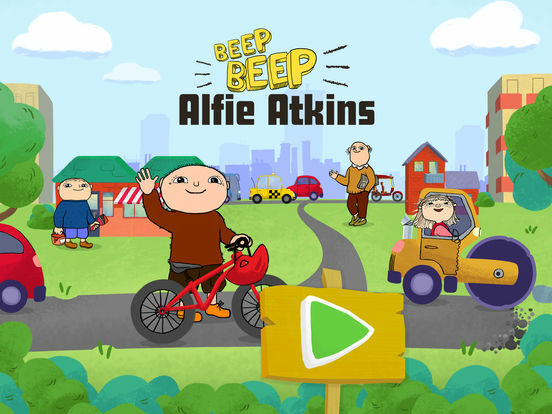 Beep, beep, Alfie Atkins is a game specially developed for children aged 3 to 9 years old. There are no elements featuring stress or timers. Children can play the game in the time they need and there's always an opportunity for them to continue playing the game. Beep, beep, Alfie Atkins 1.0 is Free (with in-app purchase) and available worldwide through the App Store in the Education category. To buy the full version the users can make a one time purchase ($3.99) inside the app. Players will be able to continue building the world they have created in the free version. There is also an Android version available on Google Play. For more information, please contact Kristian Lundquist. Gro Play is an independent creative studio that makes eco-educational toys, games and content for children. Gro Play creates Good Game experiences in order to entertain and inspire children and their families to learn more about health, wellbeing and sustainable living. We believe that Play is not only the most fun but also the most powerful way of learning. By entertaining and inspiring children and their parents, together we are shaping a healthier and more sustainable future. Gro Play is part of STING - Stockholm Innovation & Growth and Impact Hub Scaling. Gro Play is a proud winner of the Swedish Living Green award. Copyright (C) 2010-2015 Gro Play Digital AB. All Rights Reserved. Apple, the Apple logo, iPhone, iPad, iPad mini, iPod touch, and Mac are registered trademarks of Apple Inc. in the U.S. and/or other countries. Other trademarks and registered trademarks may be the property of their respective owners.